A very special, glittery necklace and earring set, inspired by Tudor finery. 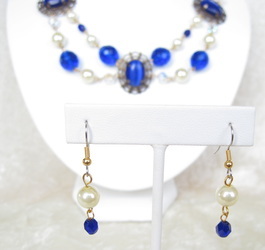 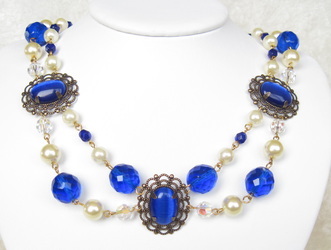 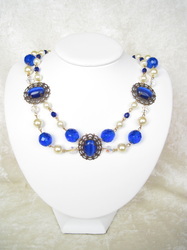 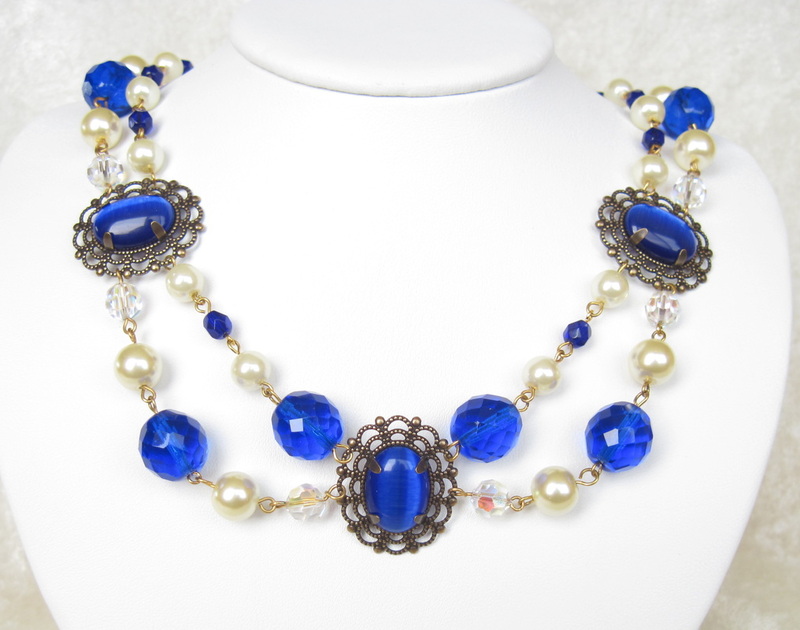 Brilliant blue faceted Czech glass beads alternate with lustrous faux pearls and Austrian crystal accents. 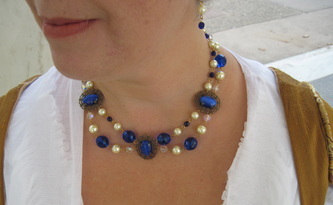 Three antiqued filigrees set with glowing blue cat's eye cabochons complete the look. 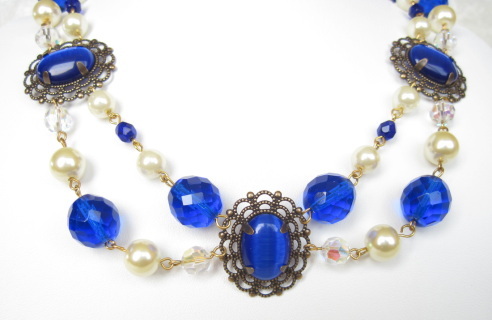 This set will sweep you off to the days of the extravagant Medieval royal courts! The necklace measures 19", the matched earrings are 3/4" long on surgical steel french ear wires.